THE THORNY QUESTION of where to put the town of Swords accounts for around half of all submissions sent to the Constituency Commission, ahead of its decisions on how to redraw Ireland’s electoral boundaries. Of the 533 submissions published so far by the Commission – which stopped accepting public submissions on the proposed boundary changes on Tuesday – 238 deal specifically with the question of which constituency Swords should be put into. Another 27 submissions address the matter of Swords – which was moved into Dublin West for the last election, divorced from its historical home of Dublin North – as part of other comments about reassigning territory between the two constituencies. A large chunk of the submissions on Swords are the result of a petition organised by the local branch of Fianna Fáil – who point out that 280 voters are currently assigned to vote in polling stations three miles away, instead of the one across the road. Among the parties complaining about the Swords move is Fingal County Council, whose territory corresponds broadly with that of Dublin North – which complained that the county town was no longer in the same constituency as the rest of the county. Another regular submission includes the complaints that Dublin areas like Terenure and Harold’s Cross are divided between two constituencies. Many of the submissions from Kerry – including those from the Kerry South branch of Fianna Fáil, Labour senator Marie Moloney and independent TD Michael Healy-Rae – argue against the amalgamation of the Kerry North and Kerry South constituencies. It is widely anticipated that the two constituencies – each of which currently boasts three seats – will become one large five-seater, and many submissions complain that a single large constituency would provide too great a geographical spread for candidates to represent. As yet, only three submissions have been made about the restructure of European Parliament constituencies, which are also up for review by the Commission. Each of those three submissions reaches a separate conclusion: one from the Fine Gael party recommends the status quo, another from an expatriate group recommends the creation of three four-seaters (replacing the four three-seat constituencies currently in place), while the third advocates the adoption of a single national 12-seat constituency. A new Constituency Commission is formed every five years after a census is held, in order to ensure that the average population per TD or MEP remains broadly in line with a national average. The Constitution requires that there be at least one TD for every 20,000 members of the public, and a maximum of one TD for every 30,000 people. This year the commission has been told to cut the number of TDs to between 153 and 160. Ireland is entitled to elect 12 MEPs, but there are no fixed rules governing the size of any European Parliament constituencies. How should Ireland arrange its European constituencies? Email “'Swords question' dominates submissions on Dáil boundary changes”. 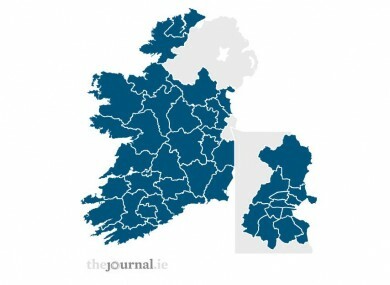 Feedback on “'Swords question' dominates submissions on Dáil boundary changes”.